The Guild of Food Writers Awards recognise outstanding achievement in areas where food writers work and have influence. They are awarded annually and are the only awards judged entirely by professional food writers, editors and broadcasters. The Guild Awards were inaugurated in 1996 and reflect the Guild’s commitment to encouraging new and established food writers. There have been some significant changes to the categories for 2019 to reflect how the world of food writing has evolved since the awards were established. Please read all the information below before completing the online entry form. If you have any questions regarding the eligibility of your publication, broadcast or online work please contact Jonathan Woods jonathan@gfw.co.uk. The closing date for completing entry forms for 2019 was Monday 28 January 2019 and all materials must be with the juries by Monday 25 February 2019. The winning entry in each category will receive a trophy. The winners of each Award will be announced at the Guild of Food Writers Awards Ceremony on Thursday 27 June 2019 at Studio Spaces, Unit 2, 110 Pennington Street, London E1W 2BB. You can access the online entry form here. “If you’re looking for your next kitchen adventure, then look no further than Tenderstem®. This versatile vegetable offers endless possibilities when taking a culinary cruise through world cuisines. Whether you want to use it as an ingredient in a favourite dish or serve it as a sumptuous side to impress friends and family, you can draw inspiration from the subtle, slightly nutty flavour and delectable texture. A cross between Chinese kale and Calabrese broccoli, Tenderstem® can be eaten whole, from top of floret to tip of the stem, there is no wastage, meaning more goodness on the plate. Bursting with essential nutrients, Tenderstem® is high in fibre, protein, folate, and both vitamins A and C, so adding it to simple pasta dishes can really boost the health benefits of a meal. It’s also super simple to cook; steam it, boil it, stir fry it, BBQ it, griddle it, roast it, or even better, keep all the nutrients locked-in and enjoy Tenderstem® raw. Just 80g of Tenderstem® counts as one of your five-a-day. Grown and harvested by hand in the UK between May and November and available all year round from farms in Europe and Kenya, Tenderstem®’s delicate flavour pairs well with meats, fish and other vegetables, making it the ideal choice as a kitchen staple for adventurous foodies. Try Tenderstem® in your next adventurous meal and share the results with us on social! You can find out more about Tenderstem® here tenderstem.co.uk and check out our social channels for lots more inspiration on Twitter: @tenderstem; on Facebook: facebook.com/tenderstem; on Pinterest: tenderstem; on Instagram: tenderstem. This award has been given for many years in recognition of excellence in a television or radio broadcast. This year it has been extended to include video and podcasts. The entry may be a complete programme, series, or one part of a single programme. Where a series is nominated, the whole series will be supplied, and a single programme will be nominated for juries to view or listen to in the first instance. To qualify for the 2019 awards your entry must have been broadcast or released in the UK (prior to any other country) between 1 January 2018 and 31 December 2018. This award is given for the best food-related articles published in newspapers, magazines or online, including work with a focus on travel (but not restaurant reviews). The work may contain recipes, but recipes should not form the bulk of the text. Material may be nominated only if the author has been commissioned and paid for the work and it is not self-published. The award is judged on the basis of five pieces of work. To qualify for entry into the 2019 awards all of the work entered must have been published in the UK (prior to any other country) between 1 January 2018 and 31 December 2018. “Pukka Herbs harnesses the incredible power of nature through its award-winning, sustainably and ethically sourced organic herbal teas, each of which have been expertly blended to naturally support wellbeing. Founded in 2001 by Tim Westwell and practicing herbalist, Sebastian Pole, Pukka’s mission is to create a world where plants play a central role in human health and wellbeing. Pukka is a beacon for sustainable and ethical business. All Pukka’s teas are certified Fair for Life, one of the highest independent fair trade standards in the world and many of its teas use FairWild herbs. 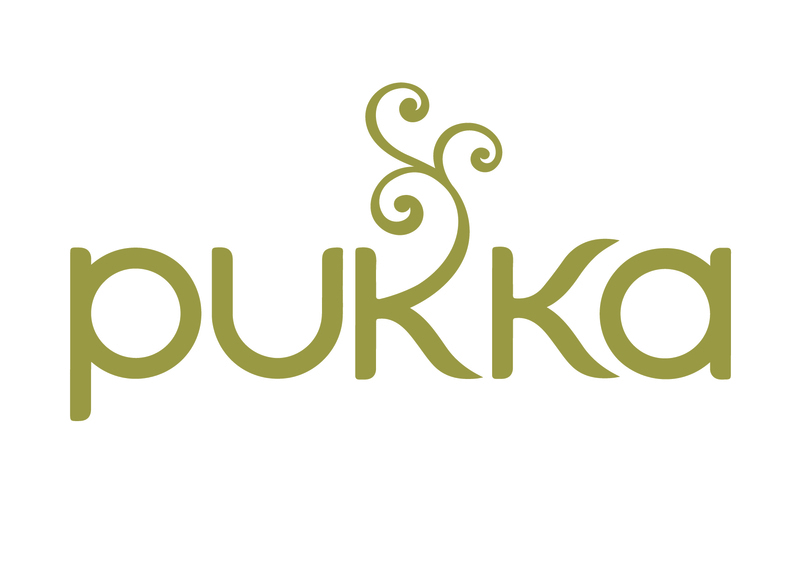 Pukka is a B-Corp, signifying its ongoing commitment to support conservation through commerce. And over one percent of its sales are given to environmental causes around the world every year through 1% for the Planet. This award goes to the writer of the best recipe-led work published in a magazine, newspaper or newspaper supplement or online. It may also include recipes that promote food brands such as leaflets, packaging and online work. Material may be nominated only if the author has been commissioned and paid for the work and it is not self-published. The award is judged on the basis of five pieces of work. To qualify for entry into the 2019 awards all of the recipes entered must have been published in the UK (prior to any other country) between 1 January 2018 and 31 December 2018. The best restaurant writers present their opinions in a readable, reliable and responsible way. Entries for this award will be judged on the basis of five reviews which may be from the same or different publications and may have appeared online, in print or both. Reviews must not be based on complimentary meals. This award, given in memory of the Guild’s first president, Derek Cooper, honours food writing that is persuasive and opens readers’ eyes to what is happening in the food world, often behind the scenes. Entries may include, for instance, work informing the public about agricultural and manufacturing processes, or campaigning to raise standards in the food supply chain. It is open to work in broadcasting as well as print and online, and to works by single authors or by organisations. To qualify for entry into the 2019 awards the work entered must have been published or broadcast in the UK (prior to any other country) between 1 January 2018 and 31 December 2018. This award is given to the editorial team responsible for magazines and periodicals that take food as their main subject or food sections comprising a collection of articles within a larger publication. The magazine or section must be published four or more times a year. Online nominations should have clearly-defined issues or food sections which are emailed or made available to subscribers as a collection of content published together on the same date. The award is judged on the basis of four magazines or sections. To qualify for entry into the 2019 awards the magazines and periodicals must have been published in the UK between 1 January 2018 and 31 December 2018. This award recognises the skill and dedication required to create and maintain an online presence dedicated to food. This includes blogs and social media platforms such as Instagram and Facebook. Blogs are eligible if they are written by up to two individuals who may or may not write professionally. They may be text- or recipe-led and will be judged on the quality of the writing over a 12 month period (January 2018 to December 2018). As well as the overall blog/instagram/facebook page the nominator should also provide specific links to 5 individual posts for closer consideration. To qualify for entry into the 2019 awards the posts entered must have been published online by writers based in the UK between 1 January 2018 and 31 December 2018. The FoodTalk Radio Show was founded by Sue Nelson, CEO of The Breakthrough Group and author of Foodtech UK. Food and drink experts from around the country are invited as guests to discuss the latest trends in everything from distribution and delivery, to taste profiles and tech innovation. Sue has appeared on nearly every national radio programme in the UK from the Today programme and Jeremy Vine to Radio 4’s The Food Programme and Farming Today. She was formerly CEO of NW Fine Foods and has been a regular guest on television programmes as diverse as Trisha and The Culture Show. She is also author of the NW Fine Food Guide with Simon Rimmer of Channel 4's Sunday Brunch. Her fellow presenters are Ollie Lloyd, Co-founder and CEO of Great British Chefs working with chefs such as Marcus Wareing, Michael Caines, Tom Aikens and Nathan Outlaw, and Holly Shackleton, Editor of Speciality Food Magazine, the leading trade magazine for the fine food industry. The podcasts are available on the FoodTalk and Great British Chefs websites and on iTunes, Spotify, PodBean, Stitcher, PlayerFM, TuneIn and the Podcast app, and sent to our syndicated radio stations on Thursday each week at 4pm. For 2018 there were 77,000 podcast downloads and 65,000 listeners per week via syndicated radio stations across the UK, in California, Michigan and Malta. There were also a combined 104,800 Twitter followers and 218,000 Facebook fans via FoodTalk, Speciality Food and Great British Chefs. For enquiries about free syndication or featuring on the show, please contact hello@foodtalk.co.uk. For more information, visit foodtalk.co.uk; on Twitter: @foodtalkshow. This award is given to a writer of any age, provided that the entry is his or her first cookery book or food book. If desired, the author may also enter their work into the General Cookbook; Specialist or Single Subject Cookbook; International or Regional Cookbook; or Food Book categories. To qualify for entry into the 2019 awards your book must have been published in the UK (prior to any other country) between 1 January 2018 and 31 December 2018. 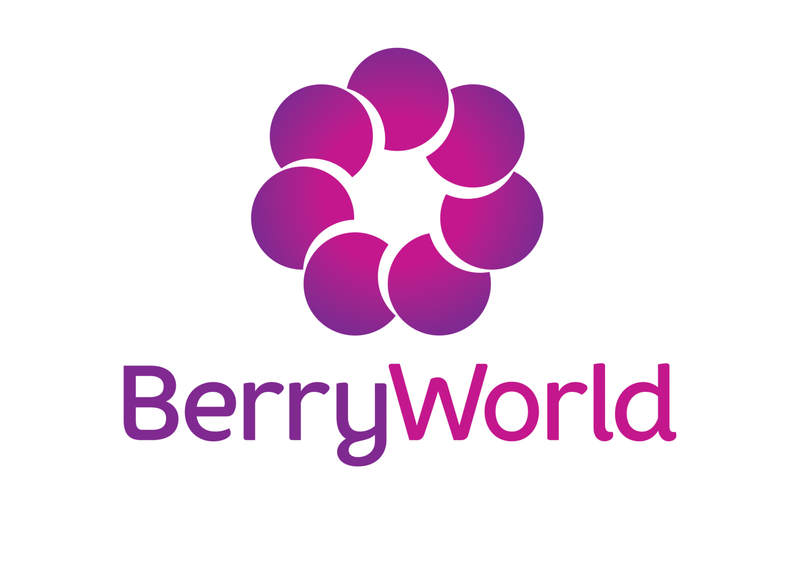 “BerryWorld® was established in 1994 and is the UK’s leading soft fruit business. With its mission to ‘Grow the berry world together’, the company has invested in its expert, dedicated, grower base for the last 25 years, extending the British season through varietal development and investing in land and growing techniques. Its work has helped berries to become shoppers’ number one choice in fruit and has grown the British berry category to over £1.4 billion at retail, with over 83% of the population now buying berries at least once a year. In the UK, 1 in every 4 berries sold will be a BerryWorld® berry, and its recently established consumer brand, which goes by the same name, is striving to help shoppers identify the best in season quality, all year round. [Currently available on Ocado and AmazonFresh]. BerryWorld® works with growers who manage substantial areas of soft fruit production in the UK as well as overseas, throughout Europe, the Americas, the Middle East, South Africa and Australia. Varietal development is at the heart of everything BerryWorld® does. You can find out more about BerryWorld® at berryworld.com; on Facebook: facebook.com/berryworldltd; on Twitter: @HelloBerryWorld; on Instagram: @HelloBerryWorld; on Pinterest: @HelloBerryWorld; on YouTube: BerryWorld. This may be a biography, a historical study, or a study of the gastronomy or food culture of one or more cities, countries or regions; it could be a guidebook, encyclopaedia or compendium, even a technical handbook. Recipes, if they form part of the work, should serve to illuminate the text, rather than lead it. Please note that if you enter a book into this category it will not be eligible for any other category unless it is your first cookery or food book, when it will also be eligible for entry in the First Book Award category. “If we feel different, it’s because we are. We are a family business, whose original motorway service area grew out of our farm in Cumbria when the M6 was built through our land. Everything we do reflects those beginnings. In our Kitchens we make our own food, honest and nourishing. In our Farmshops, we work tirelessly to find small, exceptional producers, always starting locally. Above all, we hope that when you pass through, you feel you have arrived somewhere not anywhere; that you catch a glimpse of the place we are so proud to be part of – our environment, our produce and all the people we are lucky enough to work with. You can find out more about us at westmorlandfamily.com. Tebay Services at tebayservices.com; on Facebook facebook.com/TebayServices; on Instagram tebayservices; on Twitter @tebayservices. Gloucester Services at gloucesterservices.com; on Facebook facebook.com/gloucesterservices; on Instagram gloucesterservices; on Twitter @glouc_services. Cairn Lodge Services at cairnlodgeservices.com; on Facebook facebook.com/cairnlodgeservices; on Instagram cairnlodgeservices; on Twitter @cairn_lodge. This award covers international or regional cuisines, including British food, and encompasses those with a travel element. Recipes and, if appropriate, the practicalities of cooking should be the main focus. The golden rule will always be to look for a book which is excellent of its type and which you can’t wait to cook from. “At Aspall, we never compromise. We’ve been pioneers for nearly 300 years, starting in 1728 with Clement Chevallier, planting apple trees while others ploughed the land. Today we continue to keep his pioneering spirit alive through everything we do. Our business is steeped in heritage but we’re not set in our ways. We are innovative cyder and vinegar makers, embracing new ideas and technologies while upholding the same exacting standards set by Clement hundreds of years ago. 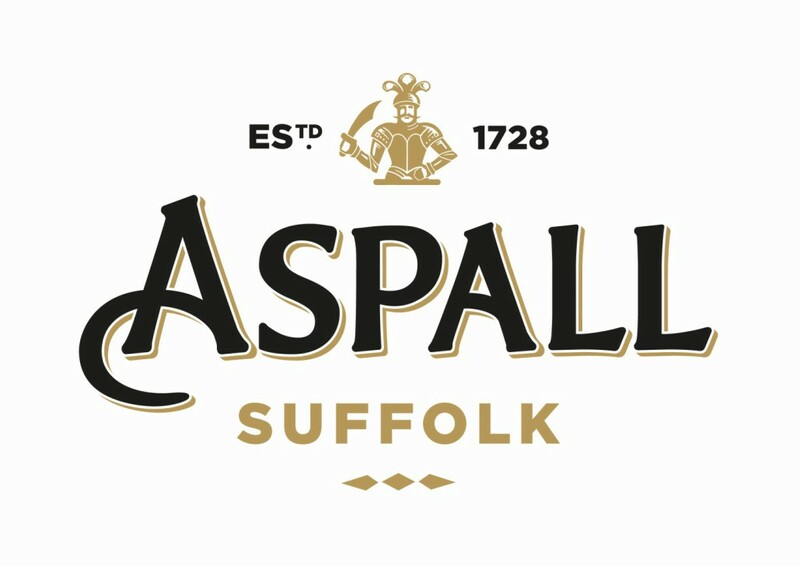 Now a part of the Molson Coors global family, Barry and Henry Chevallier Guild, the eight generation of the family, are still involved with the Aspall business today. We are passionately protective of our legacy, the provenance of our cyders and vinegars and dedicated to forging our own path. You can find out more about Aspall at aspall.co.uk; on Twitter: @aspall and @AspallVinegar; on Facebook: Aspall and Aspall Vinegar; on Instagram: @aspalluk and @aspallvinegar. This award covers books with focus on a particular technique, ingredient, food group or single subject, for example fermenting or fish. Recipes and, if appropriate, the practicalities of cooking should be the main focus. You can find out more about Seafish at seafish.org; on Twitter: @seafishuk; on YouTube: SeafishTheAuthority. Our aim is to assist and promote the sustainable development of the Shellfish Industry in the United Kingdom. Shellfish contribute nearly 50% of the total value of seafood landed into the UK vessels into the UK. Cultivated shellfish contribute an additional £38 million, from nearly 30,000 tonnes. Despite this, our industry is often overlooked in discussions and decisions that can have huge impacts. The SAGB represents the views of shellfisheries, both wild-caught and cultivated, in debates with the Government, other users of the sea and environmental organisations. We are striving to ensure a more viable and sustainable future for UK shellfish operations. With the increasing legislation and financial constraints facing the industry, our role is more vital than ever. Alongside our lobbying activities, we actively promote the health benefits of eating shellfish, bringing together buyers and sellers of shellfish and selling the story of our industry to the public. 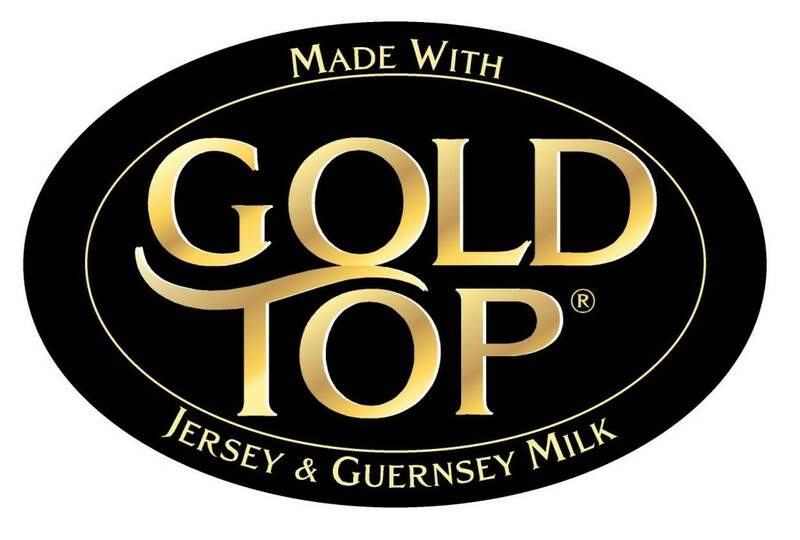 For the past two years we have been engaged in a supply chain-focussed project connecting producer to consumer in the UK. The nutritional, health and environmental benefits of consuming shellfish are important to recognise and we are delighted to be able to support the Guild of Food Writers in their recognition of food writing and media excellence. You can find out more about the Shellfish Association of Great Britain at shellfish.org.uk; on Facebook: facebook.com/shellfishassociationgb; on Twitter: @SAGB; on Instagram: sagbshellfish; on YouTube: ShellfishGB. Books entered in this category should focus on recipes and the practicalities of cooking, but they can be based on any cuisine, historical period or diet. There is a separate category for International or Regional cookbooks, and Specialist and Single Subject cookbooks. 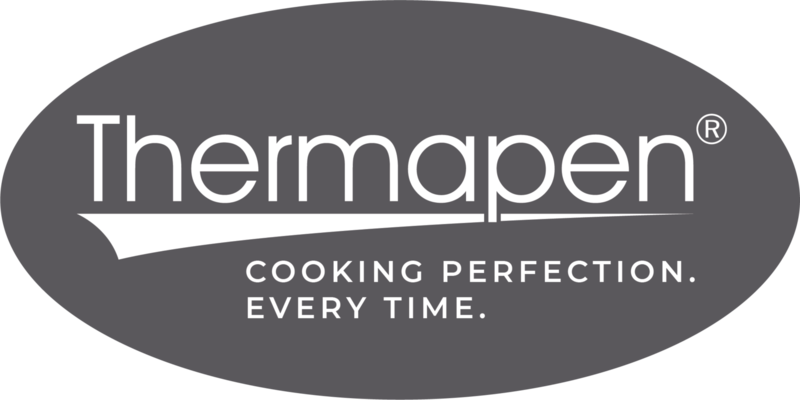 “A favourite kitchen essential of many celebrity chefs and professional cooks, the Thermapen® thermometer is made in Britain by ETI Ltd, the UK’s leader in the manufacture and design of electronic thermometers and temperature probes. In 2018 the business was awarded the Queen’s Award for Enterprise for innovation, their fourth Queen’s Award since winning its first in 2012. The Thermapen gives an accurate temperature reading in just three seconds, achieving cooking perfection every time! Stylish, easy to use and available in a range of vibrant colours, the Thermapen is a must-have for every kitchen, whether you want to enjoy meat that is both succulent and cooked safely at home, producing a batch of jam, tempering chocolate or cooking up a feast on the BBQ. You can find out more about Thermapen Professional at thermapen.co.uk; on Twitter: @thermapen_; on Facebook: SuperFast Thermapen Thermometer; on Instagram: Thermapen. The Guild presents the Inspiration Award to celebrate an individual or group who is making an inspirational difference to how we eat today. This award is unique amongst the Guild awards as the only people who can submit nominations are the Guild’s own members. Nominations for this award will be sought in February 2019. “AC Goatham & Son is the largest top fruit grower in the UK, growing one in every four British apples and one in every three British Conference Pears eaten in the UK each year. The business is located on the Hoo Peninsula and has 28 farms across Kent growing 14 different varieties of apples including a brand new variety due to be launched in 2019 and 3 varieties of pears. It has just finished an extensive planting programme of nearly ¼ million new fruit trees, helping to secure the future for British top fruit for years to come. The business is also the only British grower to offer ripe and ready British Conference and Comice Pears, helping to introduce a new audience to this tasty, delicious and healthy snack. For more information, visit acgoatham.com; on Twitter: @ACGoatham; on Facebook: facebook.com/goathams; on Instagram: goathams; on LinkedIn: AC Goatham & Son. We are now inviting entries for the Guild Awards 2019. You do not need to be a member of the Guild of Food Writers to enter. However, the work you are entering: must have been published or broadcast or released, in the English language, in the UK, in the calendar year 2018; must have been published in the UK before publication in any other country; must, if published online, be from a site based principally in the UK; must be a work of non-fiction. Any work that does not meet all these requirements cannot be considered. The winners will be announced at the Guild of Food Writers Awards Ceremony sponsored by Tenderstem® on Thursday 27 June at Studio Spaces, Unit 2, 110 Pennington Street, London E1W 2BB. The closing date for completing entry forms is Monday 28 January 2019 and all materials have to be with the judges by Monday 25 February 2019. You may nominate work in as many categories as you wish, but you must complete a separate online entry form for each nomination. You may nominate your own or someone else’s work. In either case, you are responsible for deciding in which category or categories it is to be entered, but lead judges may at their discretion reallocate works to a different category. In this event, the nominator will be required to supply copies of the work to the new judges. If you are uncertain as to which category work should be entered, please contact the Awards Co-ordinators for advice (awards@gfw.co.uk). You are also responsible for ensuring that a total of six complete copies of the material being entered are delivered to: each of the five judges for that category the Awards Co-ordinator The names and addresses or email addresses of the judges for the relevant award will be sent to you upon receipt of the application form. All Awards communications and nominated work must be clearly marked with the relevant category and nominator’s details. Whoever completes the entry form is responsible for making sure that copies of the work(s) are despatched in good time for judges to receive them, regardless of who is despatching them. The Guild regrets that if entries arrive late, the work cannot be considered for the awards. With the exception of books, juries prefer to receive links to or pdfs of the nominated work whenever possible. The Guild Awards celebrate the UK's best food writing. Where entries are a collaborative effort, the Guild asks that those nominating the work, be they authors or publishers, acknowledge this on the application form. For each award category, the Committee of the Guild of Food Writers appoints a lead judge. The remaining four judges are selected at random from the Guild membership. No judges may have any of their own work entered in the category they are judging. The recipient of each award is (are) the writer(s) or presenter(s) of, or in the case of the Magazine or Section Award, the editorial team behind, the winning work. No discussion or correspondence, outside the meetings of the judges, will be entered into. The judges’ decisions are final. How will I know who has won? The shortlisted writers or broadcasters will normally be notified by telephone or email as soon as possible after judging has finished, usually during May. Anyone who does not give either a telephone number or an email address will be notified by post. The shortlist will also be published on the Guild’s website. The winners of each prize will be announced at the Guild of Food Writers Awards ceremony sponsored by Tenderstem® on Thursday 27 June at Studio Spaces, Unit 2, 110 Pennington Street, London E1W 2BB. The winning entry in each category will receive a trophy.